Why do we have these Radeon Packs? As mentioned above, the Radeon Packs are AMD’s approach to resolving demand for their GPUs from cryptocurrency miners. The idea is that if they provide more of their GPUs in higher priced bundles, it will dissuade miners from buying them. This is why you don’t see miners buying things like the GTX 1080 or other $500+ graphics cards for mining. The incremental gains in mining performance don’t justify the high costs, which is why GPUs such as the GTX 1070 and RX 580 are selling out like crazy. Although you can buy the RX Vega 56 and 64 air-cooled models standalone, right now they are extremely hard to find. If you are after the liquid cooled model, that’s only available in a Radeon Pack. What this means is that if you only care for a Vega 64 liquid cooled edition, you’re going to be paying $200 more over the standalone Vega 64 air cooled edition SKU. So, already that price jump is starting to seem more than a little painful on our wallets. But what do we get in the packs along with the GPUs? What’s in the Radeon Packs? Radeon Packs = GPU + $200 discount on Samsung FreeSync monitor + 2 games + $100 discount on Ryzen 7 1800X & X370 motherboard combo. All for $100 more than the standalone GPU. The first of the “retailer discretion” items is a discount from a local retailer off a Samsung FreeSync monitor. In the U.S., it’s $200. For me in the U.K., it’s £100 off the Samsung C34F791. You will need to double check with your retailer to make this discount is available and that you understand how to apply it. Some retailers don’t clearly mention the monitor discount, so be extra careful when making a purchase! 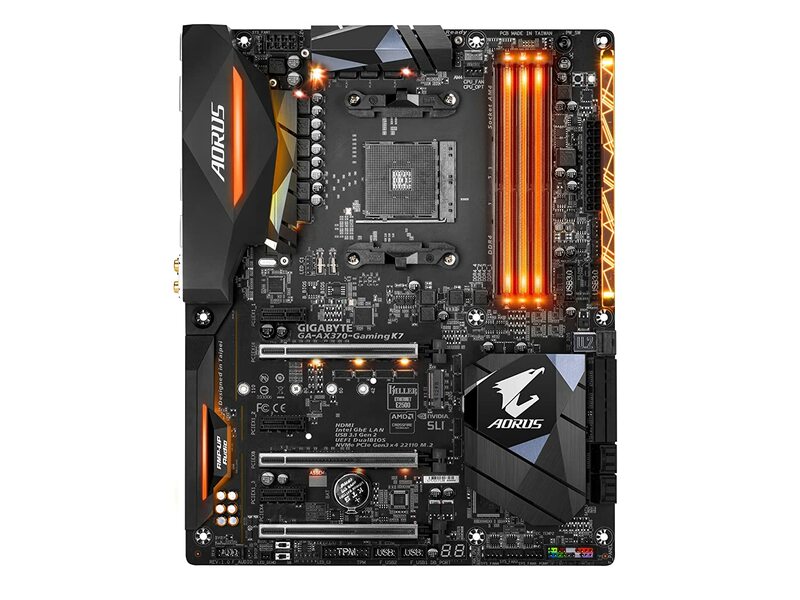 Every Radeon Pack gets $100 off a Ryzen 7 1800X and one of these motherboards: ASUS ROG Crosshair VI Extreme X370, GIGABYTE GA-AX370-Gaming K7 or MSI X370 XPOWER GAMING TITANIUM. Each of these are top-end motherboards, yet with the $100 off it means you are getting a really nice motherboard for less. Who are these Radeon Packs for? Are they worth it? That’s the big question. AMD very specifically doesn’t want these packs to be bought up cryptocurrency miners. They repeat that all day long when you ask them about it. Yet, with the utter lack of availability for the standalone Vega GPU’s, it seems like their focus is purely on builders wanting to commit 100% to the AMD ecosystem. There are no half steps available with the Radeon Packs. 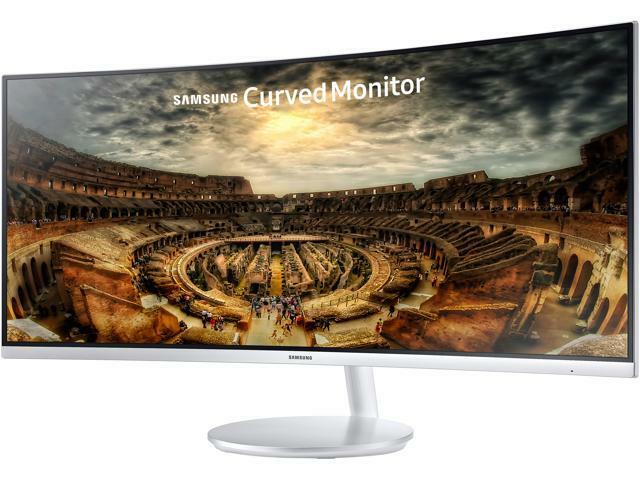 Samsung Monitor: This is an expensive purchase with or without the discount. It’s a ~$900 34-inch 100Hz curved monitor. So, unless you were already seriously considering this monitor, the $100-200 discount is useless to you. Two games: Again, were you thinking about buying these games already? Wolfenstein II ($60) isn’t out until October, yet Prey has been out since May and can be bought for as little as $20 on sale. Sniper Elite 4 is still at full price, but it was released in February, so don’t expect that to last for long. $100 off R7 1800X and motherboard: The Ryzen 7 1800X is ~$430. The motherboards range from $210-350. So, you are getting a $100 discount on a $540 purchase in the best case scenario. Yet, you are already paying an extra $100 for the Radeon Pack over the standalone GPU to begin with. This is the fundamental issue many people have with the Radeon Packs. They are technically worth it, but only if you’re considering building a whole new system, and you want the specific FreeSync monitor that’s discounted in your region. Even if you only were building a PC with the Ryzen 7 1800X and you didn’t want anything else, you are breaking even on your $100 discount. It’s a wash.
As soon as you don’t need any single part of the pack, then the pack is pretty close to worthless. Don’t get me started on people who had already built a Ryzen 7 monster rig and were looking just to upgrade their GPU or wanted to buy the Liquid Cooled edition. I’m massively frustrated with AMD’s current approach to the RX Vega 64 Liquid Cooled model. Most retailers are saying there’s little to no profit in selling RX Vega for them, which means there can’t be much for AMD. So, it seems that they may be looking to package the Liquid Cooled models with more expensive bundles to try gain a little more profit. This makes sense from a business perspective, but it’s confusing and disappointing for builders who would like to purchase the Liquid Cooled Vega 64, but don’t need the other stuff in the Radeon Packs. What do you think? Am I missing something? Have you purchased a Radeon Pack? Let me know in the comments!